Justifying brain experiments on animals? The rats were placed on a food restriction until they lost 10-15% of their body weight. This is the equivalent of a 150 pound person being forced to lose 15 to 18 lbs. This makes them hungry enough to participate in “extensive” training trials, upwards of 30 sessions a day. Surgery followed to implant electrodes into their brains. Once outfitted with access to their brains, they were put through the experiments 100 times per day. Such experiments, attempting to find “clues” about human brain function, are obsolete at a time when we can use non-invasive neuro-imaging to derive real information from the living brain in people. These include magnetoencephalography (MEG) and functional MRI (fMRI). A recent article drew CAARE’s attention to experiments on animals at University of California, San Diego. The author, a cognitive neuroscientist who conducts invasive brain experiments on rats, attempted to justify such research. In “Why we use rodents to study the brain,” Dr. Andrea Chiba claimed that probing the brains of rats with electrodes while they engage in learning trials will help us understand how the human brain works. We disagree. The most we can learn from these experiments is some of the neural activity occurring in the brain of a rat who is isolated, food-deprived, subjected to brain surgeries, and put through trials in hope of a scrap of food, specifically, one-quarter of a Honey Nut Cheerio. Perhaps what was most disturbing about Dr. Chiba’s fluff piece was the admiring tone she used to describe the rats, calling them social, empathic, playful and devoted. One thing that’s particularly interesting about rats is that they’re very social. They live in social groups. They play together, live together and help each other survive. Their sociality extends to humans, too. They can even come when called and will make the effort to socialize with people. 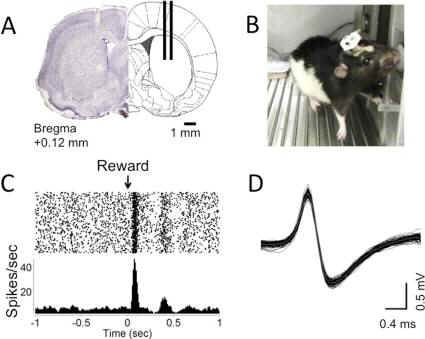 Sometimes, a rat that has been spending a lot of time with a particular experimenter learning tasks will actually prefer the experimenter or food over another rat. They’ll hop right up on you and play. The article is accompanied by a video, showing Dr. Chiba speaking while rats play in the background on an old tire and other toys. But the cute video and admiring tone of the essay belie the reality of what these rats endure. To start, solitary housing is a traumatic experience for any social animal and places them under great duress. The rats were placed on a food restriction until they lost 10-15% of their body weight. This is the equivalent of a 150 pound person being forced to lose 15 to 18 lbs. This makes them hungry enough to participate in “extensive” training trials, upwards of 30 sessions a day. Surgery followed to implant electrodes into their brains. Once outfitted with access to their brains, they were put through the experiments 100 times per day. During the trial, the rat is trained to respond to a light flash, travel to that site of the flash and poke his nose through a hole, then return to the center for a food reward. When all the data was collected, the rats were killed and dissected. These grotesque, taxpayer-funded experiments are not necessary to understand the human brain. While humans and animals share some gross similarities in brain function, the differences invalidate using animals to study the human response. 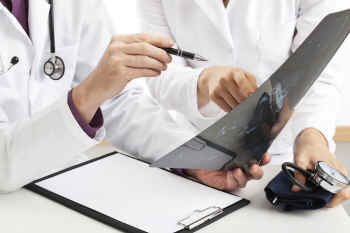 The latter, based on its ability to track blood flow in the brain, can detect areas of heightened brain activity while it’s occurring , measuring and evaluating which areas of the brain are involved with a specific mental process. fMRI is shedding enormous light on the study of learning, cognition, memory, and emotional states in humans, without hurting any animals.